Oh wait, thought I was past that. Last night was a rough night in our house, our baby beagle was incredibly sick all night and I couldn’t really do much to help clean up because it made me gag so bad. This morning he ate and immediately threw up, of course I started gagging again, thought that I worked through it. Sat down to blow dry my hair and gagged a couple of more times and then literally projectile vomited across the bathroom. So classy I am! I couldn’t bring myself to ask Noah to help me clean it so I cleaned, continued to gag but thankfully held it together! Hope that everyone is having a great day today 🙂 The twins and I dressed up today, okay well I wore a green shirt (a mint one at that!). So today is a big day, well not really but in my world it is. I am no longer on any IVF meds, took the last of my progesterone last night. Eek. This body is now working on it’s own to support these two beautiful babies. I know that realistically I don’t need it anymore as the placenta’s are doing their job but it feels weird not needing to take them anymore. Wow, reached 12 weeks. I really didn’t think I would get to experience this. It is still rather surreal sometimes. The babies are treating their mama pretty well with the exception of not being able to sleep very well. Hopefully that turns around soon. Sometimes it is hard to describe the emotions any mama goes through. There is fear and anxiety that something is wrong or will go wrong. 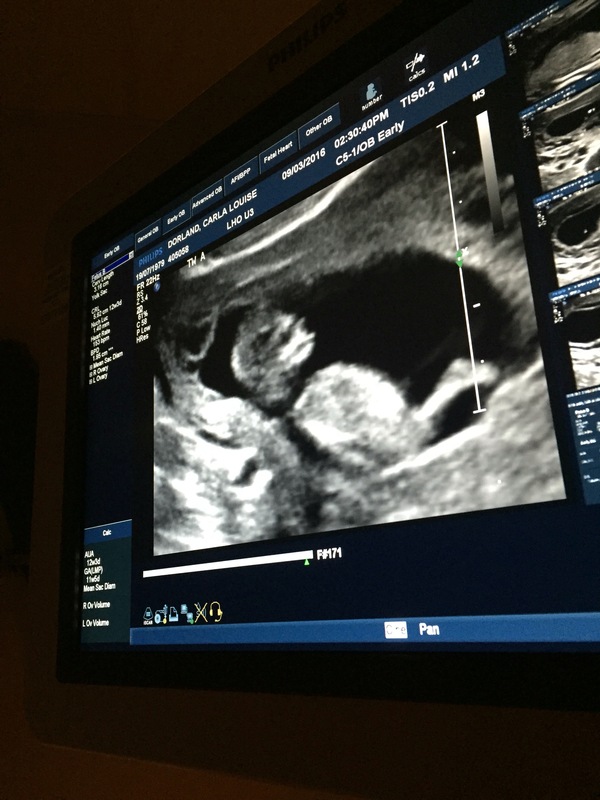 There is the excitement of seeing those little beings on the ultrasound, there are emotions that you can’t even describe. As the weeks progress I have more excitement then fear but every so often that fear creeps back in again. I quickly push it aside and remember that my body is in fine form and doing the best job it possibility can. Hope that everyone has a great weekend! 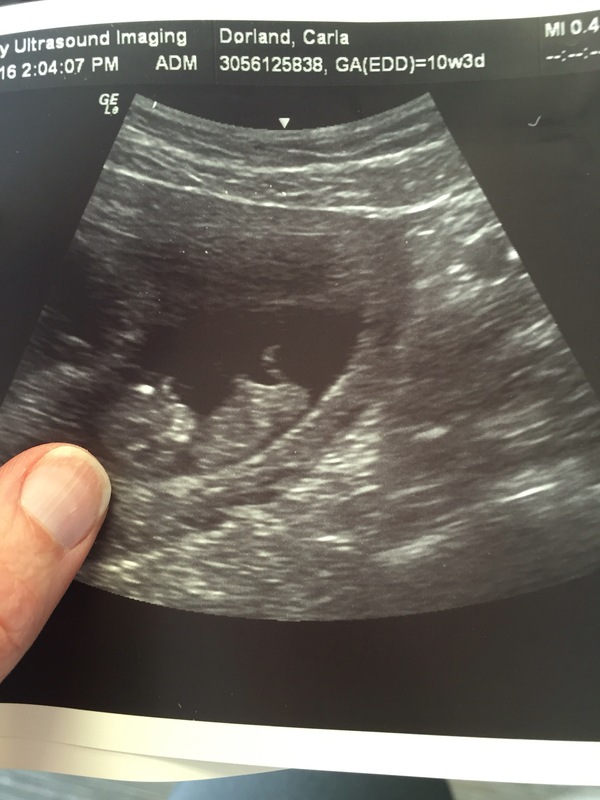 Went for my twin ultrasound today and great news is that the babies each have their own placenta! Woot woot! They are growing so fast. 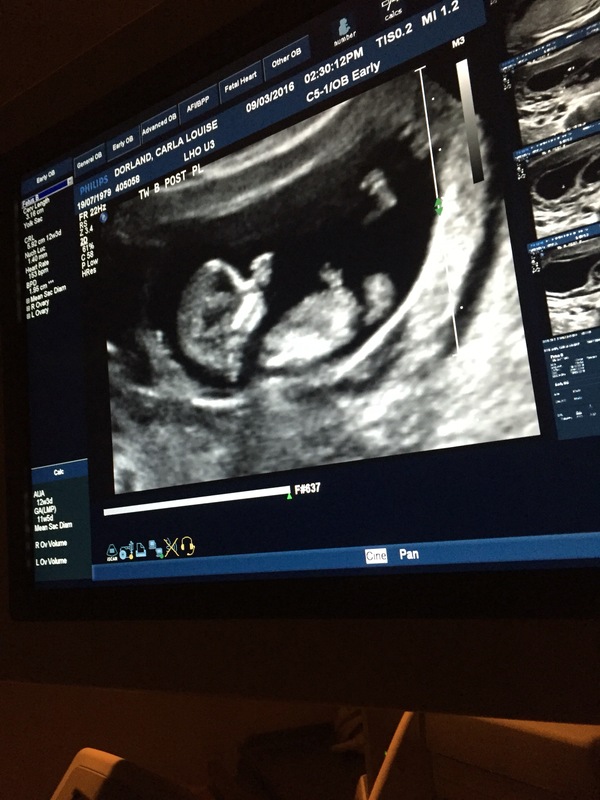 I am currently 11w5d and they are measuring 12w3d so nice and big. The tech was great and showed us lots and explained what she could. Next OB apt is next Wednesday, I hope to get their heart rates then because I forgot to ask today! To the right, to the right, everyone is hanging out on the right! 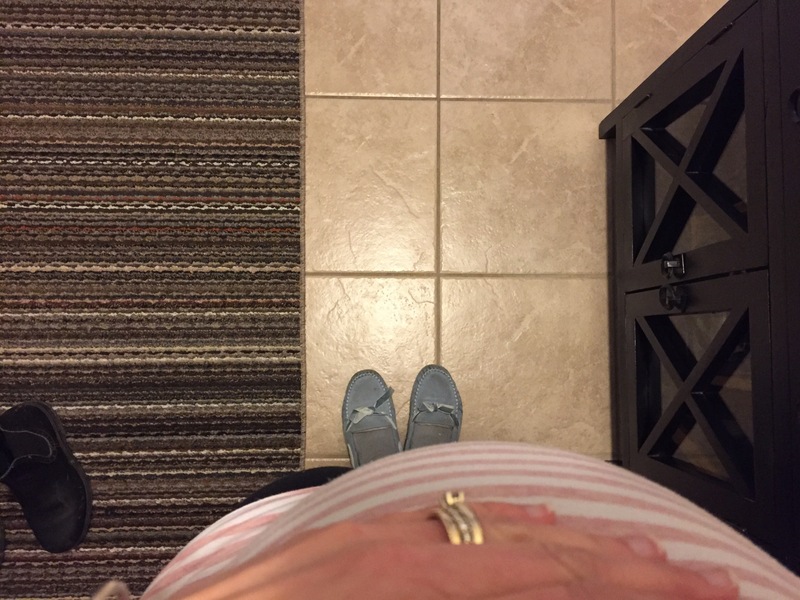 I was in the kitchen and I looked down and my baby bump was more on my right then my left. I think that the babies are having a party on my right side tonight. 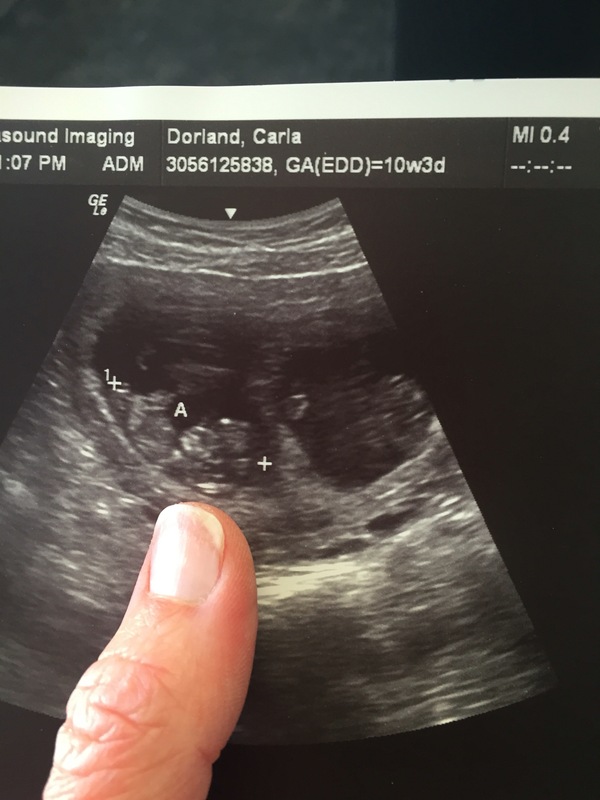 I wasn’t sure if it was possible yet but I do know they move all the time since they have been in different positions at each ultrasound. The twins missed me yesterday so they gave me a little scare so they could wave and say hi! 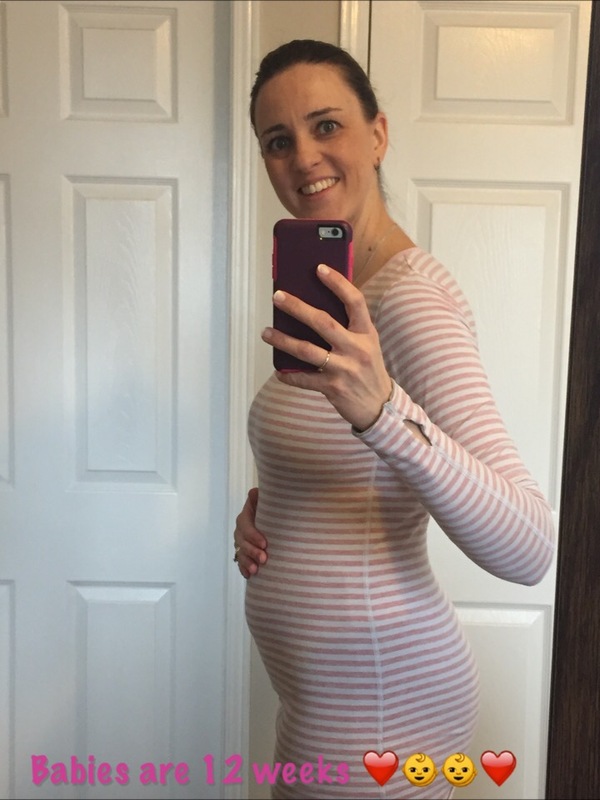 Both are doing great and measuring ahead at 11w1d (I am today 10w4d) but the doctor says movement on either side is okay. Their heart rates are nearly identical at 166 and 165! Baby B was waving away at momma and Baby A decided to play it cool and have their arms behind their head as if they were chillin, silly babies! My OB is quite perplexed as to why I am still bleeding as the bleeds are gone and nothing else indicates why. So I am still on light duty and not meant to do much. So I am following his words to a “T”.